The 2018 ADD show has officially wrapped. The Relative Space New York team enjoyed speaking with lots of great design minds over the weekend and hearing about all the fantastic spaces that will be created this year. 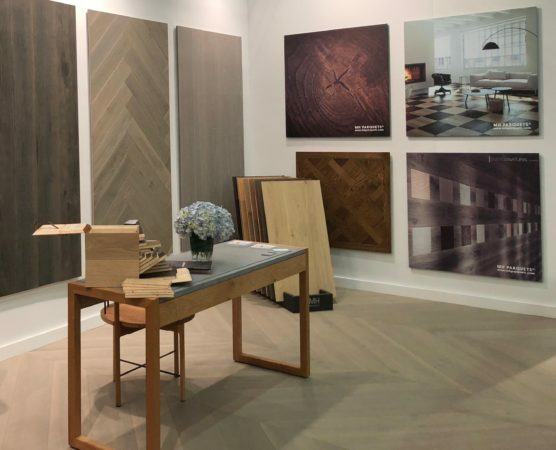 We teamed up with MH Parquets to show the newest products from the Spanish hardwood manufacturer, showcasing their unique production. The featured floor was a new colour, Patina White, shown in the classic chevron pattern. 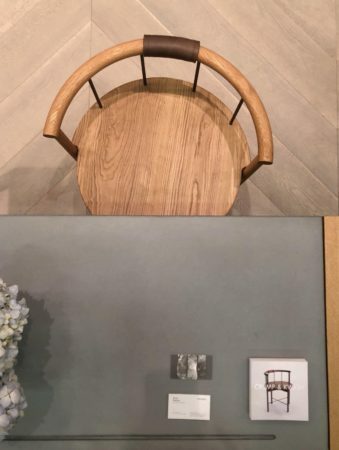 MH Parquet’s collaboration with Joan Lao, Energía Natural, introduced strong textures – planks were left raw to show off the details of the texture. Another collaboration with A.P.O., Conektors, proved the most popular. 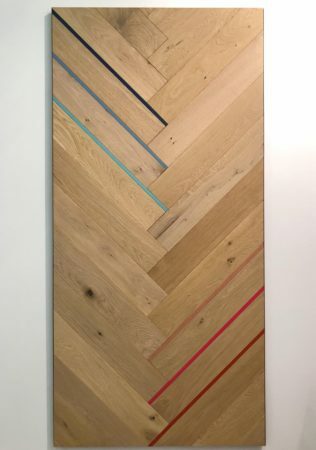 The collection is based around colourful insets that can be added to the sides and ends of a plank of wood. These little pieces help tie in other design elements, which is especially helpful when retrofitting. Lastly, A new, budget-friendly format was introduced that permits all the same finishes, but in a thinner construction. Crump & Kwash‘s George Desk and Lloyd Chair really made the booth shine. Please check them out – their furniture is amazing, and even better in real life. Below are some pics of all the magic. If you have any questions or want to learn more about the products, get in touch.